This rustic taste of fall combines an elegantly nuanced sweetness with a refined and earthy complexity of flavor. Bryan’s mother, Sally Eshelman, grew up in pumpkin country in central Ohio. She is depicted here in a pumpkin patch at harvest time in the full bloom of her youth. The kanji characters (気品 – kihin) stand for grace, refinement and dignity. She was a graceful, refined and dignified Country Girl. She is deeply missed. The inspiration for Country Girl was my urbane yet wonderfully country-spirited mother, Sally Eshelman Baird. Fall was her favorite season and it’s the time of year when my memories of her are most poignant. Kabocha is a Japanese pumpkin-like squash the taste of which is elegantly, but not overwhelmingly, sweet. We first cook the kabocha in order to gelatinize it; then we add it to our grain mash where the enzymes from the malt help to further break it down into simple fermentable sugars. 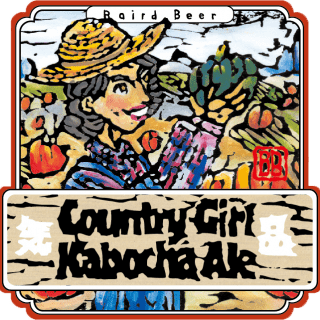 Floor-malted Maris Otter combined with several varieties of more highly kilned malt produce a hearty wort that when married to the kabocha yields a flavor partnership of great depth and balance. 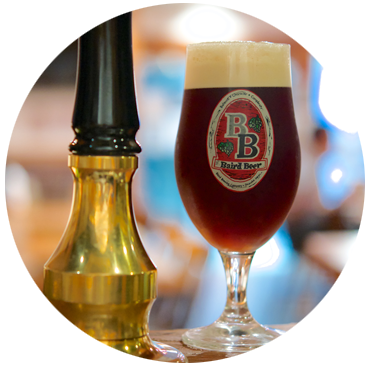 After fermentation, re-fermentation and conditioning, the result is an earthy, rustic beer that manages to deliver an extraordinarily sophisticated yet subtle complexity of flavor. It is, to many resident Japan beer enthusiasts, the flavor of fall!